A new report by a former UK Government transport minister has highlighted that the number of passengers in Scotland has doubled in the last 15 years. The study, written by Tom Harris, found that the railway industry north of the border has “had remarkable success since the end of British Rail”. The research, which was based on more than 1,000 respondents, also revealed high support for a greater focus on value for money in the Scottish rail sector. Commenting on the report, Mr Harris argued that blanket nationalisation of the railways would be “an expensive, childish and counter-productive” decision. Mr Harris said: “When it comes to the railways, bad news is big news and good news is no news. “Because of that, we’d be forgiven for thinking that our railways are a disaster, but this is manifestly not true. In fact, for the whole of this century, we have seen a remarkable railway renaissance. “Our polling research has shown that the public in general are complimentary about the performance of Scotland’s railways. “However, there are problems and those problems have led to some politically-charged calls for blanket nationalisation. 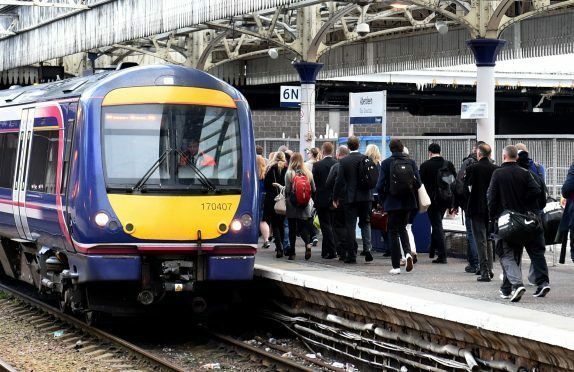 A spokeswoman for the Scottish Government said: “We welcome the broad majority support for decision about Scotland’s railways being taken by organisations overseen by the Scottish Government. “This supports our long-held view that a fully-devolved Network Rail would deliver even more benefits for Scottish passengers and freight operators. “The Harris report acknowledges the importance of securing best value for the public purse from our public contracts.